Insulator Shows (2005 National Show finds) > CD 135.5 E.R.W. Here is one of many fine insulators I picked up at the San Jose National. Ludicrous amount of once in a lifetime glass available at this show!! This is a really clean and old CD 135.5 E.R.W. 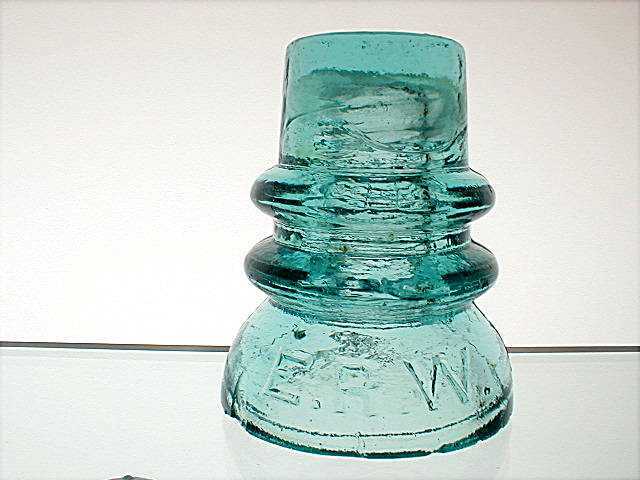 Classic insulator! Check out the steamy milky swirls in the dome.